Dental emergencies always occur at the worst possible time. Your child is simply enjoying a game of basketball, when suddenly, BAM, one of their teeth is knocked out. In those initial moments, it can be tough to know what to do first. Should you dial 911? When it comes to getting dental care as fast as possible, your best bet is to always call Silver Creek Dentistry. Our team is specially trained to handle a wide array of dental emergencies, and when you call in, we’ll do everything we can to see you as soon as possible. When you reach our office, we’ll quickly get to work relieving your pain and saving your smile. Normally, we can complete emergency treatment in just one visit, but if we can’t, we’ll be sure to minimize your pain and schedule a quick follow-up visit. All in all, if your teeth are ever damaged in an accident and you’re in a severe amount of dental pain, you can always count on us to be there right when you need us the most. 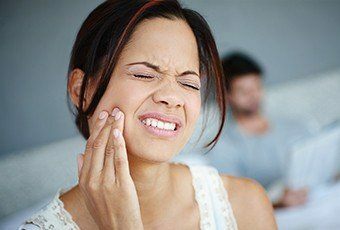 If you would like more tips on how to handle a dental emergency, or how to avoid one altogether, please contact us today. We’re happy to offer emergency services for Ripon, Markesan, Green Lake, Princeton, Oshkosh, Berlin, Omro, Winneconne, Fond du Lac, Wautoma, Waupun, and all of the surrounding communities.